The Pentagon’s secretive drone and commando base in the Horn of Africa is getting a lot bigger and a lot busier as the U.S. doubles down on its shadowy campaign of air strikes, robot surveillance and Special Operation Forces raids in the terror havens of Yemen and Somalia. Camp Lemonnier, originally a French colonial outpost in Djibouti, a tiny, impoverished nation just north of Somalia, has been the epicenter of America’s Indian Ocean shadow war since just after 9/11. What was once little more than a run-down compound adjacent to Djibouti city’s single-runway international airport is now a sprawling complex of hangars and air-conditioned buildings housing eight Predator drones and eight F-15E fighter-bombers plus other warplanes, as well as around 300 Special Operations Forces and more than 2,000 other U.S. troops and civilians. According to an investigation by The Washington Post, the Pentagon is spending $1.4 billion to expand the base’s airplane parking and living facilities. The extra housing could accommodate another 800 commandos, the Post reports. The military is also adding new lighting to a emergency landing strip a few miles from Camp Lemonnier — an urgent precaution as more and more planes and drones pack onto the main base’s sole runway. The Djibouti base is just one of a constellation of hush-hush U.S. drone, commando or intelligence facilities in East Africa. Others are located in Ethiopia, Kenya, Somalia and the island nation of the Seychelles. But “those operations pale in comparison to what is unfolding in Djibouti,” the Post’s Craig Whitlock notes. As previously reported by Danger Room, the scale and intensity of covert U.S. operations in Djibouti has increased steadily since 2001. Navy SEALs, Army Delta Force commandos and other Special Operations Forces stage from Djibouti on surveillance infiltrations, counter-terrorism raids, hostage rescues and pirate take-downs. And those are just the operations we know about. 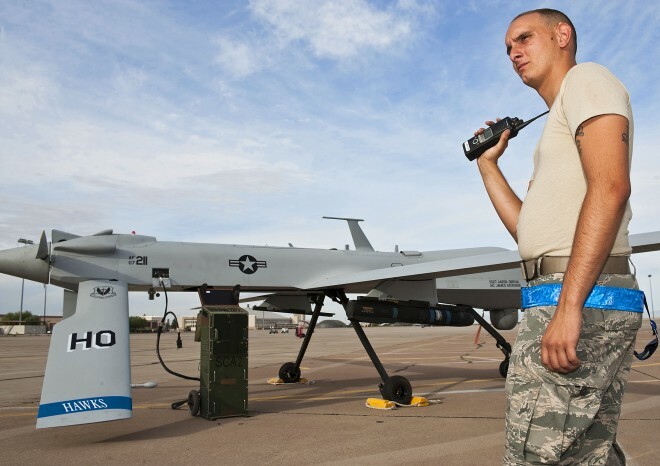 The CIA’s armed Predator drones operated from Camp Lemonnier as early as 2002. In November of that year, an Agency Predator crew, following tips from the NSA, tracked al-Qaida operative Qaed Salim Sinan Al Harethi, one of the men who had organized the October 2000 attack on the U.S. Navy destroyer Cole, to a car in Yemen. The drone launched a single Hellfire missile, killing Al Harethi and several other men. Drones came and went at Camp Lemonnier on a temporary basis between 2002 and 2010, joining a little-mentioned force of F-15 fighter-bombers deployed to the desert base for high-speed bombing runs over Yemen. In 2007 a Predator apparently flying from Djibouti struck a convoy near the southern Somali town of Ras Kamboni, killing Aden Hashi Farah, one of Somalia’s top al-Qaida operatives. In 2010, the Pentagon made the drone presence at Lemonnier full-time, with eight Predators permanently assigned. In September last year, a Djibouti-based Predator took out Anwar Al Awlaki, an American-born cleric and top al-Qaida member. As the pace of drone and other warplane flights increased, so too did the number of flying accidents. A Special Operations Command U-28 spy plane crashed in February, killing four airmen. The Post details five Predator crashes at or near Lemonnier since January 2011. Besides providing evidence of a ramp-up in the U.S. shadow war, the crashes represent a window into the little-discussed methods of America’s commando forces. One Air Force drone accident report from last year mentions a commando officer, identified only as “Frog,” whose job it was to alert the Air Force crews to launch their drones on covert missions. That level of secrecy is typical of Pentagon activities in Djibouti. Thanks to the Post’s excellent reporting, we now know just a tiny bit more about America’s expanding shadow war in East Africa.